Critical Thinking Note 21: Are we Incurably Unreasonable, Lazy, or Maybe just Poorly Trained? Capitalism vs. Socialism: Why are we still having this debate? Click below for the more-or-less self-explanatory slides for my 2019 Earth week talk at BC. The idea that everyone is biased has become cliché. As things go with cliché, our thinking about bias has become highly distorted. Standard definitions of bias take bias to be a prejudice or inclination to favorably or unfavorably judge some things, people or ideas. My focus here will just be bias about ideas, or ideological bias. To be biased in our belief or ideology is one way of being unreasonable. Where we are biased, we evaluate some idea on grounds other than good reasons. Perhaps nobody is completely reasonable. But people can be more reasonable or less so. Some people work quite diligently to overcome their biases. Others are quite averse to even trying. The notion that everyone is biased tends to obscure this. The notion that everyone is biased is often buttressed on the grounds that everyone has their own perspective. But this is not quite accurate. At the core of our capacity to be reasonable is our ability to appreciate multiple perspectives. I may see things one way, but I can listen to another person and gain some appreciation for how they see things. Or I can have a new experience myself and acquire a new perspective more directly. But in any case, perspective doesn’t entail bias. Take an instance of commonplace visual perspective. People sitting around a table will all have different perspectives on the shape of the table. No prejudice is involved here. In fact, there is an important sense in which all of their perspectives are accurate. Obliquely trapezoidal is how the table in fact appears from my visual perspective. But then we can communicate our various perspectives, do some complicated geometry and figure out what these various perspectives indicate about the actual shape of the table. Better yet, in this case we can get up walk around the table and take it in from different perspectives ourselves. And of course, our minds have learned from early on to make quite reliable (unbiased) inferences about the shapes of tables and many other things on the basis of quite limited perspectives. So, perspective can present some obstacles to unbiased judgment, but these are routinely overcome by incorporating the evidence of multiple perspectives and making reliable inferences from these. The obstacles we face to correcting for the illusions and distortions of perspective are more challenging in other realms. We are creatures of habit intellectually. We frequently get stuck on beliefs in ways that lead us to ignore alternative views and good reasons for preferring these. I think the problem here is twofold. We often suffer from a lack of skill in evaluating reasons. And this is often reinforced in intellectually unhealthy ways by various forms of attachment, often enough simple self-righteousness. When people lack well developed critical thinking skills, they have a tendency to evaluate reasons as good or bad depending on how they feel about the view at issue. When we don’t know how to evaluate the arguments in favor or against a belief, we are highly liable to deem arguments good when they support the belief and bad when they don’t. This is hardly surprising. When a person lacks the skill needed to understand and evaluate an argument, what would they have to go on except what they have previously taken to be true. So, lack of critical thinking skill is one source of intellectual bias. If we don’t know how to correct a wayward belief, we probably won’t do it. Often enough though, a person does have some critical thinking ability, maybe enough to do a better job of evaluating the arguments, but refrains from exercising that ability effectively due to an attachment to a view that might be threatened. Attachments can lead us to exercise our critical thinking skills poorly. The roots of our intellectual attachments are varied, but there are a few we are all susceptible to. First, it’s nice to be right. We are often praised or admired for getting things right. And many of us find being wrong highly distressing. We might feel ashamed. It can make us look a bit foolish after all. So, self-righteousness comes naturally for reasons that aren’t hard to understand. Along with the praise and disparagement we come in for when we are deemed to get things right or wrong, we have a social tendency to gather together into groups on the basis of shared perspectives and beliefs. And then, a sense of belonging with the group becomes a further source of attachment to the shared view of things. Herein lie the roots of tribalism. Bias is further entrenched as, ironically, our powerful social desire not to appear foolish makes us, in fact, more foolish. This is a tragic predicament. There must be a way out. Happily, if our diagnosis is right, it also points to the cure. If intellectual bias is the product of a lack of critical thinking skill and attachment, the way to avoid this kind of bias is similarly straightforward. Develop your critical thinking skills and get comfortable with relinquishing your intellectual attachments. That is, develop some skill at recognizing when you should change your mind and some comfort and willingness to change your mind. Some people do this. In fact, some people do this extraordinarily well. But just doing it well would suffice for most things. In any case, some people really do care more about being reasonable and seeking truth than appearing to be right, and they have, accordingly, invested some significant effort in figuring out how to figure things out. A shared commitment to truth and reasonableness can provide a healthier foundation for community and mutual regard than grouping together in the tribalistic fashion around attachment to belief and ideology. And a community of truth seekers is far more welcoming of diverse ways of thinking than a community built around ideology. Diversity of perspective enriches the pool of evidence and argument we have to reason from. Carrying this off successfully does require giving up our self-righteous tendencies. Membership in the community of seekers after truth presumes a recognition of our own fallibility, some admission that as seekers after the truth, we don’t yet have it all figured out. Relinquishing self-righteousness in favor of intellectual humility takes the sting out of getting it wrong once in a while. In this way, communities of critically minded truth seekers grant space for openness, relaxed good humor and shared joy in learning. And this may be why critical thinking belongs at the core of education. We live in unreasonable times. This much seems clear. It’s not just that people are easily wounded, indignant on a dime, or chronically resentful, though we see plenty of that. But people also seem to be unreasonable in the more literal sense of just plain being unresponsive to reasoning. The ideas that people are hopelessly mired in their biases, trapped by the filters of their positions, or more swayed by identity or group loyalty than evidence and argument are widespread. Of course these ideas do nothing to make people more reasonable, so we might worry about a self-reinforcing cycle of disregard for reason. Some of us grudgingly accept our doxastic dysfunction as an incurable facet of crookedness in the timber of humanity. Others set straight to work on unreasonable modes of persuasion. And where behavioral science, and propaganda fueled by data analytics and AI take off, our unreasonableness is not just confirmed, but more deeply ingrained. So are we incurably biased or just too intellectually lazy to straighten ourselves out? First let’s avoid false dichotomy. We suffer both ills to varying degrees. We all sometimes rationalize rather than reason. We rationalize when we apply our reasoning ability not towards getting at what is true, but just to certify what we already believe and would like to continue believing. But all of us also, sometimes, reason about things, overcome our pre-conceptions to some degree, and thereby get at least incrementally closer to the truth. While most of us rarely see our more cherished convictions overturned, we all reason our way out of erroneous ways of thinking now and then. Sometimes it even happens that others present us with reasons that help us correct false beliefs, even though we may be reluctant to show our appreciation. Psychologists have engaged this issue and the attention getting headlines tend to be those that shock us with how unreasonable we might be. News that we are incurably unreasonable may be perversely appealing since we’d rather hear about flaws we can’t help than those we should take steps to remedy. But the debate in psychology is hardly settled and there is a strong case to be made for the view that intellectually, we are more often lazy than incurably inept. It’s worth emphasizing here that psychology is not in a position to render ultimate verdicts about human nature on this matter. Psychologists may find that we are in fact pretty unreasonable, but this would not tell us much about how more reasonable we could be if we opted for different information environments and educational experiences. None of us should be surprised to find that 21st century Americans are not very reasonable when our education system allots precious little dedicated time and attention to how to reason well and our digital habits have us more attuned to 250 characters than 2500 words. There is significant risk of confirmation bias in thinking that people are hopelessly unreasonable. In politics especially, we routinely see people unswayed by what seem to us strong arguments. But there are a number of things that might be at play here other than people being unresponsive to reason. First we should note that the arguments we find persuasive might not be high quality arguments. The climate scientist that is unimpressed with talk of natural cycles of heating and cooling isn’t being dogmatically unresponsive to reason. She knows full well that this just isn’t what’s at issue in the case of global warming. It’s the CO2. And it’s clear up front to the climate scientist that the skeptic that persists in talking about benign natural cycles is ignoring what’s really at issue. So, sometimes at least, when someone is unswayed by our arguments, that’s just because they aren’t very good arguments. This is not evidence for unreasonableness, except perhaps on our own part. Next, people really don’t like to be pushed around. In the case of issues we care deeply about especially, arguments contrary to our preferred view often feel more like coercion than rational persuasion. Pushing back against feeling pushed is often enough among the ways we are unreasonable. But many of us are likely to appear more unreasonable than we are when we feel pushed. Once we have taken a stand on an issue we care about, we are much less likely to admit defeat than to accept it, eventually anyway. Which leads to one further point. Good reasoning is often complex and it can take some time to do its work. When people aren’t persuaded by a good argument right away, this is sometimes just because it needs to be mulled over some before its force can be appreciated. Can’t people just ignore good arguments and thereby prevent the germination of new insight? Yes, and they often do, but this isn’t simply a matter of choice. It can be hard to ignore a good idea. The temptation of novel insight isn’t necessarily less effective than the tug at the emotional heartstrings, it’s just less immediate. A fallacy is just a mistake in reasoning. There are dozens that we know by name. But we only bother to name a fallacy when it is the sort of mistake that people are highly vulnerable to making. We can learn to commit and fall for far fewer fallacies. When it comes to appreciating good reasoning, we have straightforward methods for evaluating the quality of reasons and these constitute the central kernel of the curriculum in critical thinking and logic. Learning to reason well and avoid common mistakes is hard. Fallacious rhetoric offers the quick thrill of a roller coaster ride where critical thinking is more like hiking up a mountain. This helps to explain why Twitter flourishes as newspapers fold. The only cure may be to develop a taste for hiking. It would help if there were fewer roller coasters around. Psychology has established that reasoning well is not part of our natural human endowment. In these unreasonable times, everyday experience certifies this much. So let us abandon the presumption of reasonableness. Instead let’s recognize being reasonable as a skill. Like most skills, it’s a skill that anyone can develop though maybe rather few can perfect. Clearly, getting along well with one another requires doing a much better job at cultivating the skill of reasonableness than our current educational and social practices manage. I’m not sure what to do about Twitter. But in the realm of education, policy solutions are an option. Critical thinking skills can be taught. Posted on January 21, 2019 January 23, 2019 Categories Critical ThinkingLeave a comment on Critical Thinking Note 21: Are we Incurably Unreasonable, Lazy, or Maybe just Poorly Trained? Our national sentiment has hardened considerably against immigrants and refugees in recent years. Our fears have been stoked by fast and furious stereotyping and our attentions spans can barely accommodate the sort of narrative that more accurately represents the human stories of immigration or refuge seeking. Christmas, the celebration of the birth of a loving and forgiving refugee, approaches. There can be no more appropriate time to hear the stories of those seeking shelter from chaos, or simply a better life for their children. I’ll start with a relatively merry story from my own family. My in-laws now include a Syrian refugee. My wife’s third cousin, a vibrant and conscientious young nurse started volunteering in the refugee camps in Berlin a few years ago and took up with a bright, affable young man who had fled the violence in Syria. This young man doesn’t recognize terrorists and Islamic extremists as Muslim. He is just baffled at how anyone could so badly misunderstand the point of Islam. But as a young man of fighting age, neither the extremists nor the forces of Assad were inclined to give him the option of living peaceably. As a student in a government school, he was seen by the Assad Government as prime material for his armed forces. Rebels recognized this too, and saw him as soon to be against them if he wasn’t ready to join up with them. To obtain food for his family and avoid getting drafted, he obtained a fake military ID. This was risky move. It made him a target of militants against the government and put him at risk of execution if he got found out by government forces. So eventually, after seeing too many friends killed and being forced into hiding himself, he fled and wound up in Germany. It was challenging for a few older members of my wife’s family when the young woman had a child with the Syrian man. But, his German has come along rapidly, and he’s well on the way towards winning them over. Being a good soccer player and a handy wrench with a BMW has helped him a good deal with the older men. A few more diaper changes would help him with the women in the family. He’s now integrating himself into his new homeland and my extended family. The very German culture of my wife’s family is hardly compromised. So there you go, turns out you can sustain German culture with Syrian babies. It’s gratifying to have a relatively happy story of successful refuge seeking in my own family. But distressing to have so many frustrated ones so close to my own culture and nation. At our southern border a humanitarian crisis looms. Asylum seekers from Central America pile up in camps. It is legal for foreign nationals to present themselves at our international border seeking asylum. But our government has slowed processing of asylum pleas to prevent the entry of asylum seekers to our territory. Rallying in frustration a month before Christmas, asylum seekers were repelled with tear gas. So what is the story of these people? Why would people walk thousands of miles from their homes to seek refuge in a country now infamously unwelcoming? These must be stories of desperation, but the politics of America First has drowned these stories. As we celebrate the birth of a refugee born thousands of years ago, we should find some time to hear the stories of asylum seekers at our own border today. I have catching up to do here, but for me these stories are much closer to home than the stories of Syrian refugees in Berlin. I grew up in the presence of Latino gangs in the 70s. In my neighborhood in Mesa Arizona, it was the 8th Ave. Locos. There was machismo and mystique in it, but little violence. After school in the 70s, it was the sounds emanating from lowered mid 60s Chevys, primed and ready for paint for years on end, that introduced me to Shuggie Otis’ Strawberry Letter 23, The Eagles, Hotel California and lots of Carlos Santana. These remain in my mind as sounds of style, brotherhood, and self-esteem in the midst of prejudice. A Latino gang, then, was just a bunch of marginalized young men from the neighborhood that looked out for each other. Then came the Reagan era war on drugs and many of those young men were sent to prison. As a white kid, I had the good fortune of moving on to a different life. But as I lived adjacent to 70s Latino gang life, people in Central America were experiencing the brutality of the cold war, which was not really cold in places like El Salvador and Nicaragua. Central America was never highly prosperous and was always highly unequal. The struggle in the 70s of poor farmers for land reform and economic opportunity that would allow for merely a modest subsistence, combined with the ideological and armed interventions of the USSR and the USA, blossomed into a series of civil wars in the region that sent tides of immigrants fleeing chaos and violence north to the US. El Salvadorans established communities in Southern California and this was the birthplace of the now dreaded MS13 gang. Originally, MS13 was not so different from the 8th Ave. Locos I grew up with. It was just a band of young men looking out for each other on the somewhat meaner streets of the LA area. But then came the war on drugs and mass incarceration. And in the 90s, mass deportation. A loosely organized population of men hardened off in US prisons was sent back to El Salvador, now a vulnerable fledgling democracy. In the context of poor populations, weak governments and the drug trade, gangs like MS 13 have spread across Central America and grown into a social movement of nihilistic sociopaths. Young men are pressured with violence into joining and then pressured to commit violence as members, facing only violence from the state if they try to escape the violence of gang life. Sociopaths are made, not born. Regard for lives of others is systematically stripped from young men in the pervasive and too frequently unavoidable trap of Central American gang life. 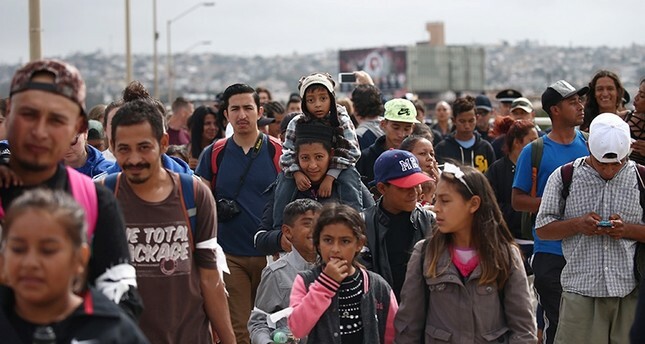 The crisis is now to the point where “of the 20 countries in the world with the highest murder rates, 17 are Latin American.” This is what the desperate asylum seekers congregating at our southern border are fleeing. It’s hard to miss our complicity in any honest account of the conditions that have brought a humanitarian crisis to our own border. As a well-to-do American taxpayer, I am implicated as well. But the guilt of the privileged is just another facet of privileged self-absorption, usually useless and often counterproductive. My task, our task, at Christmas especially and through the year, is to get over ourselves and exercise some compassion for the suffering. The people most vulnerable to gang violence aren’t relatively well-off Americans, but the people piled up at our doorstep. 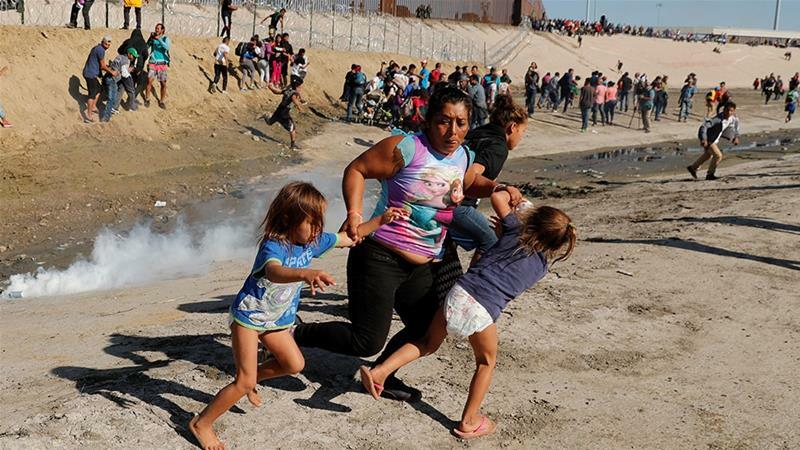 We get that when we see photos of mothers with children in tow, fleeing tear gas at the San Ysidro border crossing. As I try to exercise better informed and more rational compassion this Christmas season, what strikes me most vividly is that the most vulnerable are often the young men our leaders tell us to fear. I want to thank my new Syrian brother in Berlin for that insight. My Intro to Philosophy text says very little about capitalism and socialism and this is mainly because these aren’t political philosophies so much as positions about how economies should be structured. Perhaps it is due for the following supplement. Capitalism the view that the means of production should be privately owned. Socialism is the polar opposite, the view that is the view that the means of production should be publicly owned. That is the traditional meaning anyway, though we should note that “socialist” has for some decades been used as a general epithet by demagogues like Rush Limbaugh to insult anyone less conservative than they are. Some of those people, like Bernie Sanders, have taken to owning the insult. But don’t worry, Bernie doesn’t want the government to run Chick fil a. Neither pure capitalism nor pure socialism has ever sustained a developed functioning economy for long. Every developed economy in the world has a substantial public sector and a usually larger private sector. The public sector is just that portion of the economy that is publicly controlled and financed ultimately through taxes and fees of one sort or another. The private sector is that portion of the economy that is controlled by private individuals or organizations and it is financed through private spending and investment. We can see certain political philosophies aligned with socialism and capitalism respectively. Libertarian political philosophy would aim for the purest possible form of capitalism, where the public sector is limited to securing property rights, e.g. prosecuting fraud or theft. Communism would aim for the purest possible version of socialism, complete public ownership of all industry, for example. Communism has been tried, and hasn’t done so well. Aside from squashing economic liberty for individuals, the completely state run economy isn’t responsive to market signals indicating demand for more of this or less of that. It also stifles innovation that boosts productivity, economic growth and increasing standards of living. No country has been successful in implementing a completely state run economy. The entrepreneurial spirit is hard to suppress and where it’s been tried, doing so has only fostered the black market. For instance, my wife had relatives in the DDR, communist Eastern Germany. One was a doctor, who’s salary was no higher than his brothers who were blue collar workers. When re-unification happened, however, the doctor had a rather eye popping stash of East German marks to trade in. In addition to being a doctor, he was an avid gardener and he had built a small fortune propagating and selling exotic orchids he brought back from vacations in Cuba. A great many East Germans were and still are serious gardeners. I don’t find this surprising since, on Lockean terms, this is the most basic means of creating private property, through mixing your own labor with the stuff of the Earth. So communism has been tried and its shortcomings are known through experience. Libertarianism though, is pretty much just theoretical. Perhaps fairly primitive underdeveloped economies like small agrarian villages of the old west were more or less libertarian. But libertarianism and the kind of pure capitalism it recommends has never been implemented on a larger scale in a more developed society. Every developed country around the world has a mixed economy, one that has a substantial public sector and a generally more substantial private sector. This is largely because there are many functions required in a developed society that the private market just isn’t going to take up on its own, like basic infrastructure and universal education. Even on a broadly Lockean approach, which heavily favors the private sector as a matter of personal economic liberty, a developed economy will require a significant public sector to manage and regulate the use of commonly held resources like roads, watersheds, air quality, public health and so on. And so it is curious to me why we still have debates about socialism vs. capitalism. These are the extreme and unworkable poles on a spectrum of possible economic arrangements. The world has plenty of examples of highly prosperous, free and open societies and in every one of these cases we find mixed economies with both substantial private and public sectors. Indeed, when things are functioning well, these exist in a kind of symbiotic relationship. In our own, for instance, the public sector has a long history of generously funding basic research in science and technology. When new technological innovations get close enough to profitability in the market place, and only then, private capital funds new investment based on patents and brings new products to the market. The machine you are working at is a prime example of this. Apple, Google and Microsoft have brought great products to the market that have boosted our productivity, improved our quality of life, and created lots of wealth along the way. But these companies are running the last stage of a relay race that began long ago in the public sector. The groundwork for IT as we know it was built with public sector support starting over a century ago (partly with the development of logic, remember Bertrand Russell?) and continuing into the present through university research, military research and development, and many other forms of support for technological development. The relationship between the private and public sector is generally cooperative. Research and development for things like better batteries or touch screens, for instance, has been funded by government grants (often connected to military and national security projects) and carried out by private IT corporations. In other instances, private corporations serve as contractors on government projects. There is plenty of reasonable debate to be had concerning just how the public and private sectors should work together in this or that economic role. But the idea that one can do without the other is a non-starter. In the context of such fruitful collaboration between government and private companies, the widespread anti-government sentiment we find in this country, especially on economic matters, strikes me as a kind of blinkered ingratitude. Beyond that, it is a hazard to the prosperity and standard of living we enjoy (witness the state of our roads and educational institutions). Posted on December 2, 2018 January 19, 2019 Categories JusticeLeave a comment on Capitalism vs. Socialism: Why are we still having this debate? Both what we popularly know as “liberalism” and “conservativism” are positions within a broader tradition of liberal political thought. We can understand a political philosophy as laying within that broader liberal tradition when it gives priority to the liberty of individuals as a political value. Illiberal political philosophies will just be those that reject the rights and liberties of individuals as being of paramount importance. I originally prefaced this chapter with a discussion of Plato to provide some historical perspective, some appreciation for how recent an ethical innovation it is to treat individual rights and liberties as important in political thought. Over the past few years, though, the broad tradition of liberal political thought that has guided this country since its inception, in both its “liberal” and “conservative” variants, has come under threat. So, a few cautionary words about illiberal ways of thought are in order. Political observers have recently heard lots of talk about authoritarianism, populism, nationalism and other assorted “isms.” I’m not going to take up a detailed analysis of these here, but I do want to address an underlying current common among them. Authoritarianism, as the term suggests, prioritizes the will of an authority figure. But for an authority figure to gain and sustain power, he must have the support of a sizable chunk of the population. So, would-be authoritarians will need to appeal to the concerns of ordinary people and make themselves popular (and this is what populism is). So, populism can lead to authoritarianism, though that depends on the concerns of the people appealed to. If ordinary people to care most about individual rights and liberties and have some ability to defend themselves against the rhetorical trickery of a demagogue (a leader who appeals to people through emotion and prejudice rather than rational argument), then populism won’t provoke a turn away from individual rights and liberties. But people have concerns beyond individual rights and liberties and these can eclipse the tenets of liberalism. We’d be hard pressed to explain how popular opinion could turn against the broad tradition of liberalism if varieties of illiberalism had nothing to offer people. Mass movements in support of nationalism (which prioritizes national interest over individual rights and liberties), offer the powerful appeal of a shared identity and the social cohesion of a common cause. Indeed, one of the classic criticisms of liberal political thought is that it fails to provide shared ideals that can be the basis of a sense of shared identity, purpose and community. Liberty alone is thin gruel for those seeking a sense of meaning and purpose in life. And prioritizing liberty as a political value requires taking a fairly neutral political stand on a broad range of other values and conceptions of the good life. Pushing a specific further set of values in the realm of politics as the basis of community and shared identity is bound to marginalize and threaten adherents of other value systems, But the whole point of liberal values like freedom of conscience is to avoid this. Conservative political thinkers like Edmund Burke and the contemporary writer David Brooks have sought some middle ground, like upholding liberty as a primary political value while supporting the development of community built around shared values beyond the realm of politics. Communism also held the appeal of a shared identity based on commonly held values to its adherents in its heyday. In direct opposition to liberal traditions, both communism and nationalism prioritize the good of a collective over concern for citizens as individuals. Fairly recent history is rife with examples of how collectivist thinking, both on the left in the form of communism and on the right in the form of nationalism, have licensed extreme brutality. I won’t pursue historical examples or details here. But it should come as no surprise that prioritizing collectives over individuals is liable to be pretty hard on individuals. What I do want to say in the way of caution concerning collectivist ideologies of all stripes is mainly that collectives don’t suffer. The very idea of a collective is an abstraction. A collective has no existence beyond the individuals that make it up. And so, it is hard to see how a collective can have any value of its own. My intuition is roughly Kantian here. People have intrinsic moral worth. Not nations. America is not a human being. But we might consider making America humane again. There is so little regard for well established truths in Trump’s statements on climate change that it would be painful to listen to even if the fate of human civilization didn’t hang in the balance. Trump admits that the climate is changing but denies that we know what is causing it. Leslie Stahl appeals to the authority of scientists and Trump impugns the motives of scientists, accusing them of being politically motivated. So let’s just digest this much for starters. We know human activity is causing climate change and we’ve known this for a good while. It’s a pity the 60 minutes format doesn’t afford the few sentences it would take to explain this. We know that burning fossil fuels results in CO2 emissions. Your car emits several tons of CO2 per year. We know that CO2 traps heat energy. This is easy to demonstrate in the laboratory. And we know that the extra energy that gets trapped in the atmosphere as a result of our CO2 emissions has to go somewhere and do some work, which means changing the rhythms of nature human flourishing depends on. This is the first law of thermodynamics. From here the implications are clear. This much is basic physics and chemistry. The level of scientific literacy required for understanding how human activity is changing the climate is basic. And yet, the standard journalistic move when confronted with climate skepticism is to appeal to the authority of scientists. This move opens the door to the ad hominem fallacy that our president perpetrated in this interview. Scientists, it is alleged, are just another special interest group lobbying for their economic interests. This canard has been around for a while, but the lie is transparent. Smart people who care more about money than truth don’t go into any branch of science. They go into IT, engineering, law, or better yet, finance. Scientific research is hard, often tedious work that usually doesn’t pay very well. You have to be interested in figuring things out to take research up as a career. It’s sometimes hard to tell what motivates people. This is not one of those times. Finally, true to form, Trump views the politics of climate change as a zero sum game, where we are being asked to forego our best interests for the sake of others. This, however, is a case where we the others are our children. Poker is a zero sum game. Being a parent, a citizen, a part of human civilization, is not. I got to know Andrew Light early in my career at BC when he was the environmental ethicist in UW’s philosophy department. Professor Light had risen to academic prominence for his foundational work on Ecological Citizenship. In the 1990s, a debate raged in environmental ethics about whether restored land could be deemed to have the sort of value attributed to intact natural ecosystems. This was an issue with political stakes, since, if we granted the same sort of value to restored land that we do to wilderness, developers and extraction industries could cynically exploit this in arguing that they do not destroy nature and ecosystems, but only temporarily disrupt them, ultimately to bring back something as good as they dismantled through environmental restoration. On the other hand, if we don’t see value as nature in restored lands, then extraction industries could argue that they should be let off the hook for rehabilitating lands they had already plundered. Light argued that aside from the question of when land should be valued as nature, we should recognize another kind of moral value in environmental restoration. Specifically, we should see value in the community building that occurs among people and between people and their environment when environmental restoration is taken up as a community effort. Light studied, participated and wrote about a variety of community based environmental restoration efforts including community gardens in New York, Oak Savannah restoration near Chicago and storm water management in Seattle. As the effects of climate change are becoming distressingly visible around the globe, debates about preserving the value of pristine nature have largely subsided into irrelevance. The entire world is now an artifact and no area of land or sea is spared marks of human interference. Still, the questions of what sort of world we are going to make for ourselves and what sorts of value we can find in doing so are now all the more pressing. Light’s work on Ecological Citizenship constituted an early foray into the realm of policy and the processes involved in seeking practical solutions to environmental issues. As Light puts it in one paper, “Much of my own work in environmental ethics has been devoted to the claim that the field is failing as a discipline that has much to say about the actual resolution of environmental problems” (http://vedegylet.hu/okopolitika/Light%20-%20Ecological_Citizenship.pdf). Seeking actual productive resolution to environmental processes led Light well beyond the traditional boundaries of academia and into documenting and contributing to efforts to improve the environmental conditions of communities. Most Americans have heard that Trump has “withdrawn” the US from the Paris Agreement. Rather few are aware that negotiated into that agreement is a four year process for withdraw. Under President George Bush, the US had already established a track record as an unreliable partner in efforts to address climate change and the Obama administration along with the global community of nations took this measure to provide some insurance against further US backsliding. Many Americans, including many climate activists are also of the opinion that the Paris Agreement was doomed to be ineffectual since the commitments made by countries to lower CO2 emissions were voluntary and no specific penalties are imposed for failing to meet those commitments. Rather few are aware that the process leading up to the Paris Agreement included a global effort to infuse climate into all aspects of international diplomacy. Formal penalties for failing to meet emissions targets could easily be dismissed as part of the cost of doing business as usual. Such teeth would be small and dull in an international effort to address climate change. What we have instead as a result of the Paris Accord is an international diplomatic framework where a nation’s failure to live up to its commitments in addressing climate change renders it a pariah nation, not to be trusted in trade agreements, defense and security arrangements or international efforts in other areas. Of course some will worry that Trump has already done so much damage to the US on the international stage that the consequences of leaving the Paris Accord will be relatively inconsequential. We will only know as Trump’s first term draws to a close and the process of leaving the Paris Accord reaches its conclusion. In terms of our international standing, we don’t know where the bottom is. We don’t yet now how isolated the US can become. Andrew Light is unique among contemporary philosophers for his hands on contributions to policy on the global stage we well as his notably practical contributions as an academic. It is a rare opportunity to have him here at BC addressing the intersection of our own core values of justice and sustainability. You see, racism is a moral corruption built on an intellectual fallacy and exists as a construction invented for the very purpose of violence. So, when people demonstrate that they subscribe to theories of racism, they have shown their hand, and I am immediately roused by the euphoric understanding that they are compromised, diminished and assailable. Instead of reducing me, their racism reduces them. That is the ironic, poetic justice of it. Of course, one only has to think about it for a moment to find the enormous hole in the logic that racism morally weakens the object of the sickness rather than the possessor of the sickness. Still, from a position of moral strength, Blow goes on to explain how he feels outraged by expressions of racism, especially from people in positions of power. One can be outraged at injustice without feeling victimized or playing the victim. It might be asking a bit much to expect reactionary voices to track this difference. But it remains important for the rest of us to track this difference. When moral outrage is intermingled with a sense of personal injury it becomes hard to focus on moral considerations that can appeal to the better nature of everyone without injecting special pleading for the dear self. Leading with a sense of injury can appeal to those who readily identify with us or our cause while at the same time creating deeper divisions between us and those we really need to be reaching. The injured don’t fight well, rhetorically or otherwise. The racist elements in our society get this at some level. The troll’s game is to undermine those working for justice by instilling a sense of injury in them. This is a game that can’t be won and is best not played. We do better when we fight for justice on the basis of justice and keep our wounds out of the arena. Next, I’m happy to be learning from Lindy West about the chimera of Political Correctness. As a philosopher who does metaphysics, I love the “What is that?” questions. In several classroom discussions I’ve asked students just what political correctness is. Once we press past examples in seeking a more general account of the “essence” of political correctness, or some understanding of what political correctness is about, we’ve invariably settled on something to the effect that the point of political correctness is just to encourage treating different kinds of people with the sort of dignity and respect we’d expect for ourselves. Hard to see what anyone would find objectionable about this. The term “political correctness” (much like the slimy “pro-life”) is a right-wing neologism, a tactical bending of reality, an attempt to colonize the playing field, a bluff to lure dupes into dignifying propaganda. True to form, the credulous left adopted it wholesale in the early ’90s, electively embroiling us in three decades of bad-faith “debate” over whether discouraging white people from using racial slurs constitutes government censorship. Of course it doesn’t. Debate over. Treating anti-P.C. arguments as anything but a shell game props up the lie that it is somehow unfair to identify and point out racism, let alone fight to eradicate it. Pointing out and fighting to eradicate racism is how we build the racism-free world that all but racists profess to want. The anti-P.C. set deliberately frames political correctness as a sovereign entity, separate from real human beings — like an advisory board or a nutritional label or a silly after-school club that one can heed or ignore with no moral implications — as though if we simply reject political correctness we can still have “Roseanne.” But the reality is that there’s no such thing as political correctness — it’s a rhetorical device to depersonalize oppression. So, as a metaphysics guy, I must also profess my distaste for “re-ifying entities” (that is, making stuff up, or treating nothing as if it were something). Obviously we are able to make our own choices about many things. Hume thinks this is all there is to talk of free will. If your action is caused by your choice and not by external factors (being hypnotized or coerced), then youf action is freely performed. But this is pretty minimal. Hume’s understanding of free will is quite compatible with your choice being fully determined by prior causes beyond your control (your genetic makeup, factors that have influenced you intellectually or psychologically, etc.). For this reason Hume’s understanding of free will is a “compatibilist” view, as it’s known in the free will literature. It’s a view on which having free will is compatible with causal determinism. But compatibilism seems at odds with the intuitions many of us have about free will. Many want to hold that having free will means that you could have chosen differently even under the very same circumstances and the very same prior causal influences. That is, many would maintain that having free will is incompatible with your actions being causally determined. Descartes and Spinoza both had this more robust idea of free will in mind. On this more robust conception of free will, your will is in some way an un-caused cause of your actions. You cause you actions through your willing. But the way Descartes sees it, your willing is not itself caused (various factors may influence you in one way or another, but no combination of these determines your will). This more robust idea of free will is also wrapped up in Christian religious thought. God is supposed to be just in rewarding the good and perhaps also punishing the bad. But it is hard to see how this could be just if we lacked free will in the more robust sense of our will being uncaused by factors beyond ourselves as agents. But there is something deeply puzzling about this. We have a hard time accepting that some things can just be so without there being some causal explanation for why they are so. Indeed this is a common reason for thinking there must be a God. Note that this reason for thinking there is a God (there must be a cause) is quite at odds with Descartes’ pretty intuitive understanding of free will (your will is not causally determined). So it would seem that something has to give here. But then while this tension seems to undermine one line of argument for there being a God (if we are already committed to some things being uncaused, like our will, then why not allow that the world itself is uncaused as Spinoza does), it also helps to explain the sort of uncaused cause religious belief buys into. The only sort of uncaused cause that seems intuitively plausible to us is the action of the will. So if there must be something that causes things but is not itself caused, a God with a will like ours seems like a pretty good candidate. Aristotle was the first to hold that the causal order requires that there be something to get the ball rolling, what he called an unmoved mover. Thomas Aquinas adapts this idea to an argument for the existence of God that still has strong appeal to many. But there remain deep mysteries here. We have no model or theory of “agency causation”. That is, we have no viable account to offer of how the will can be uncaused and yet caused. How would the action of such a will differ from just a roll of the dice (that would hardly be free will since here again the configuration of our will would not really be “up to us”. And finally, our notion of causation is partly a temporal notion (as Hume will point out this week). But asking for causes of the universe in this sense stands in conflict with well settled physics (Einstien’s theory or relativity, in particular). We are rapidly closing in on a pretty clear understanding of the age of the universe. In fact just yesterday I attended a fascinating lecture on how the discovery of gravitational waves in just the past few years is helping us close in on a pretty precise age. But this history of the universe is in part the history of time. What Einstien showed is that there is no absolute framework of time and space in which events unfold. Rather space/time comes into existence with the energy and matter of the universe. So our request for causes of the universe are just confused and misguided in light of Einstien’s discoveries. There just is no “before” in which to locate such a cause, supernatural or otherwise. 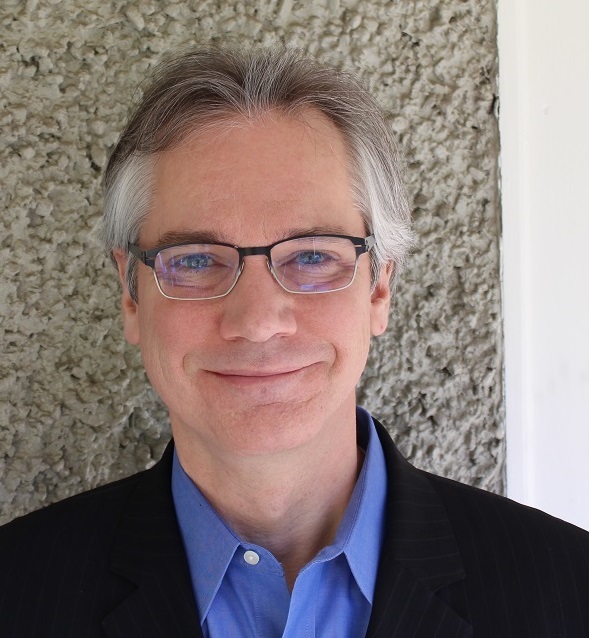 Oh, and by the way, BC has a recent hire in the physics department that has worked on the LIGO project detecting gravitational waves resulting from the collision of black holes. Fascinating stuff.